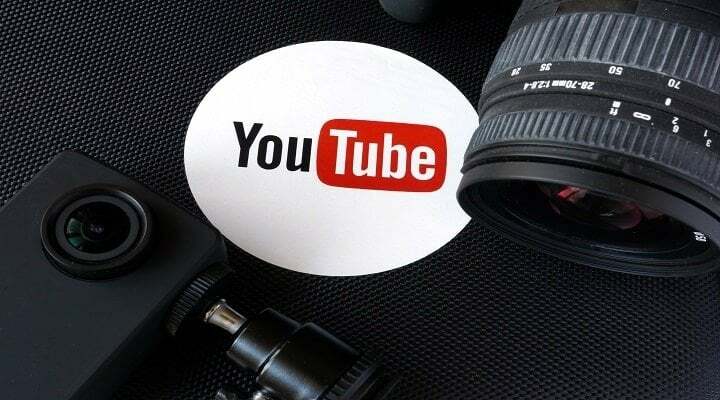 In this article we’re going to be looking at what equipment that is needed for starting a vlogging channel on YouTube in 2018. I’m going to be giving you a wide range of options here because I know not everyone’s budget is the same. We’ll look at cheap options for vlogging all the way up to a premier type of equipment setup. 5 Can I Just Vlog On My Phone? If we’re talking the flat out essentials here, you can start vlogging with just your smartphone. Of course the image or sound quality won’t be as good compared to using a dedicated camera & a mic but it can help get the ball rolling. For editing your videos you can use a free option such as Microsoft MovieMaker, it comes already installed on your PC. If not, you can always download it at the link above. It’s hard to go to much cheaper than that nowadays because smartphones have gotten so much better with their technology. If you got a little money to put into your vlogging setup, then here is what I would aim for. I really like the Canon PowerShot ELPH 110 HS 16.1 MP CMOS Digital Camera, as I think it gives you a lot of bang for your buck. It allows you to record your videos in 1080p HD videos rather than the 720P that the camera in the small budget category allowed for. This alone should make a solid jump in the quality of your videos. Another big addition you should add is getting a portable mic added. This way you can clip it on your shirt, & will allow you to capture your vlogging audio at a much better level than if you were just using your camera. If you do most of your vlogging at home, then a desktop mic can work even better for you. Software wise it can really come down what’s easier for you to operate at a better/quicker pace. If you find yourself limited by the features that Microsoft MovieMaker gives, then look into another program such as Corel VideoStudio Pro X10. The tripod stand makes a world of a difference on your recording, especially if you vlog on the move a lot. Instead of having to hold the camera at an arm’s length distance you can extend it out more, like you would if you were using a selfie stick. This will allow you to get more scenary background into your vlogs (if you want) or record yourself at different angles better. Depending on where you record, adding better lighting can make for a big improvement on your videos. I’m not going to go crazy here & mention some $5,000 dollar camera just because I say it’s a high end equipment, I’m still focusing on buying smart here. Tripod Stand – Same one mentioned in the previous tier. Lighting – In addition to the on camera lighting (for when you’re not home) you could look into grabbing a lighting setup for when/if you do videos at your house. Yup, that wasn’t a typo. I did mean to put a drone on that list. One way they do this is by capturing video from all kinds of different angles with a drone. As you can tell a lot of this stuff starts to add up in price if you start buying each item. Something that sellers have started doing is actually selling all of the equipment as a bundle, which in turn usually comes cheaper than if you were to buy each item individually. The downside is that you don’t really get to pick n choose which brand or specifics on the items. Here is an example of a vlogging bundle kit over on Amazon. Do your due diligence & compare prices yourself to how much it would be for buying each one separate. Each seller that does it may price theirs different. Can I Just Vlog On My Phone? Like I mentioned in the the small budget tier. You can absolutely just use your phone (assuming you have a somewhat up to date smartphone). What I see plenty of vloggers do is start with what they have (usually just their phones) & as times goes by, they reinvest their earnings from their videos back into buying a better equipment setup. For now we’ll call it a day here. Just remember that someone who has all the best gear in the world can still be a crappy vlogger. Focus on all areas of becoming a successful vlogger, not just on what equipment you’re using.